A classic denim take on the Vandal High Supreme will release alongside the black-based pair we previewed last month. The new look Vandal arrives built up with blue denim, and topped with white leather Swoosh logos to match the white laces and midsole below. Red accents top these off, taking care of the classic nylon tongue, strap accents, midsole stitching and outsole below. 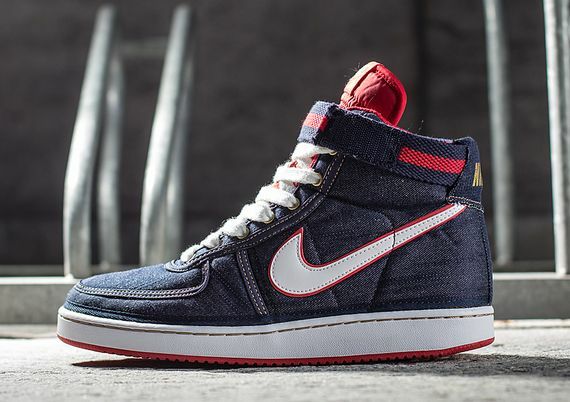 The Denim-covered Vandal Supreme VNTG by Nike Sportswear is now available for pre-order via titolo.